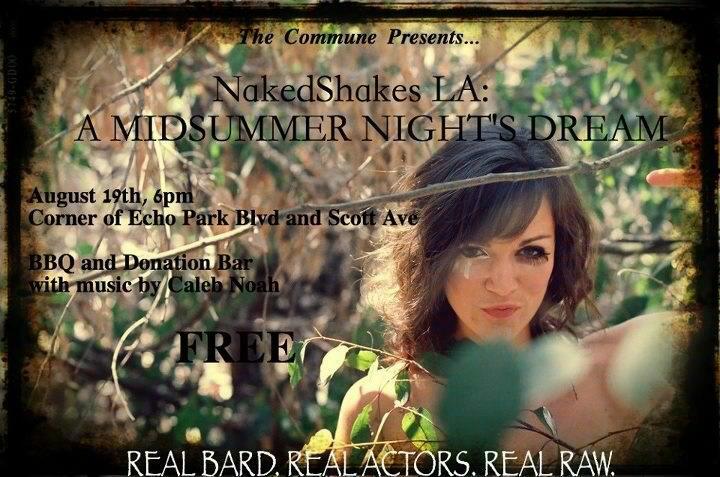 The Commune presents the first ever performance of NakedShakes LA: A Midsummer Night’s Dream. Everyone’s welcome for the 6pm backyard party – BBQ, donation bar and music by Caleb Noah. Showtime is 7:30. Click Here for all the details.